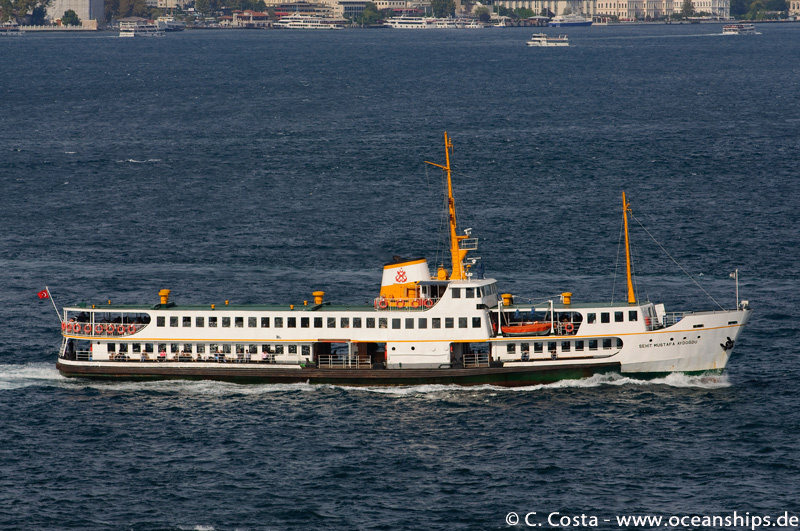 Passenger ferry Sehit Caner Gönyeli is operating on the Bosphorus on September 13th, 2012. 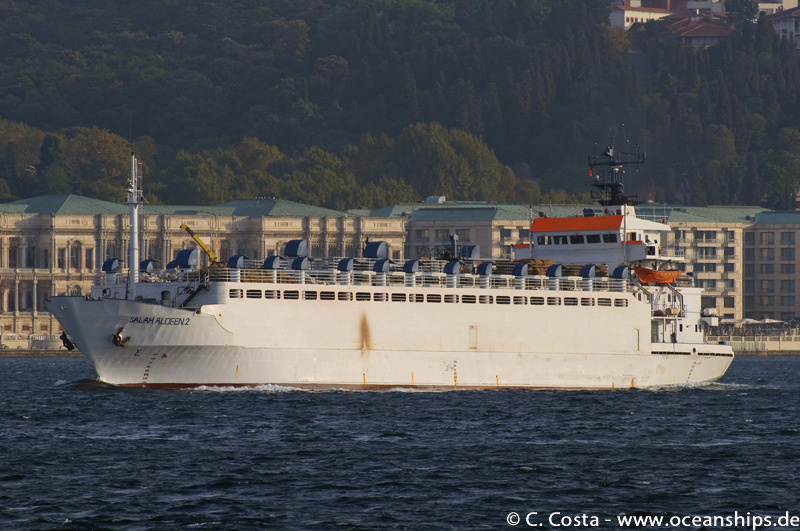 Passenger ferry Sehit Karaoglanoglu is operating on the Bosphorus on September 12th, 2012. 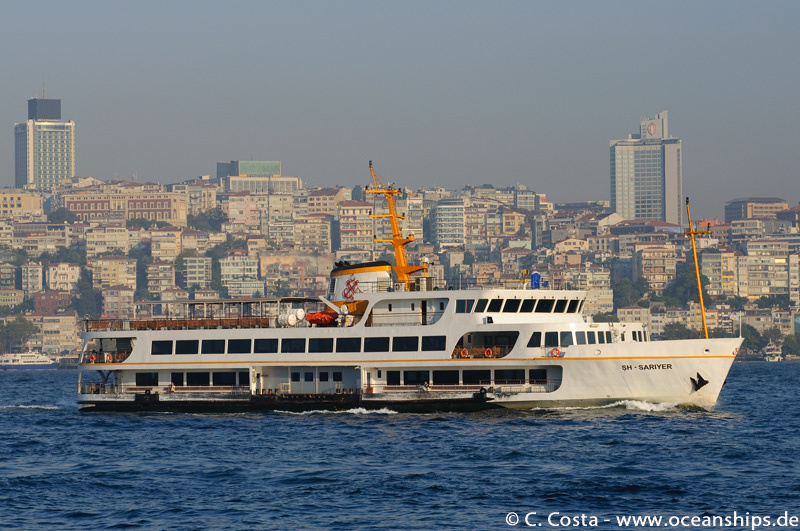 Passenger ferry Sehit Mustafa Aydogdu is operating on the Bosphorus on September 12th, 2012. Passenger ferry Sehit Necati Gürkaya is operating on the Bosphorus on September 12th, 2012. 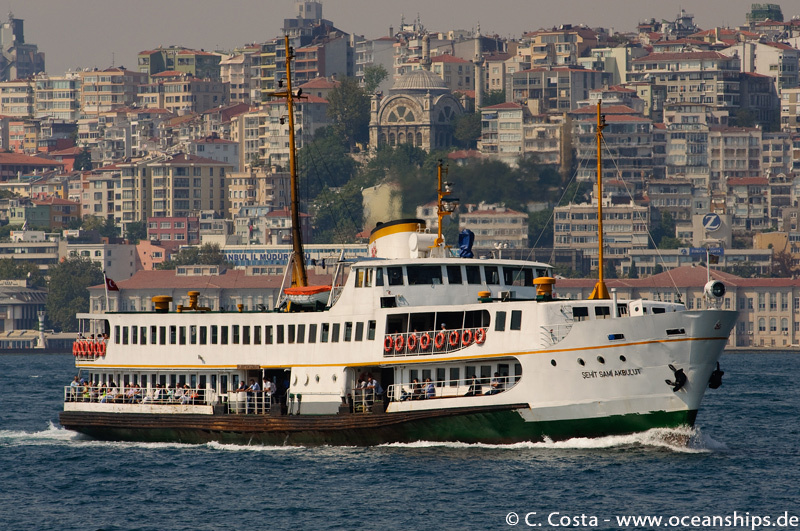 Passenger ferry Sehit Sami Akbulut is operating on the Bosphorus on September 12th, 2012. 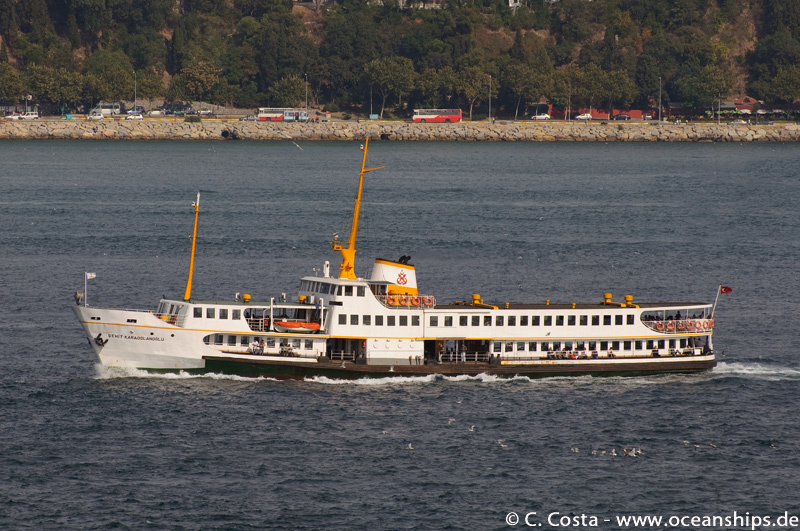 Passenger ferry SH Sariyer is operating on the Bosphorus on September 14th, 2012. 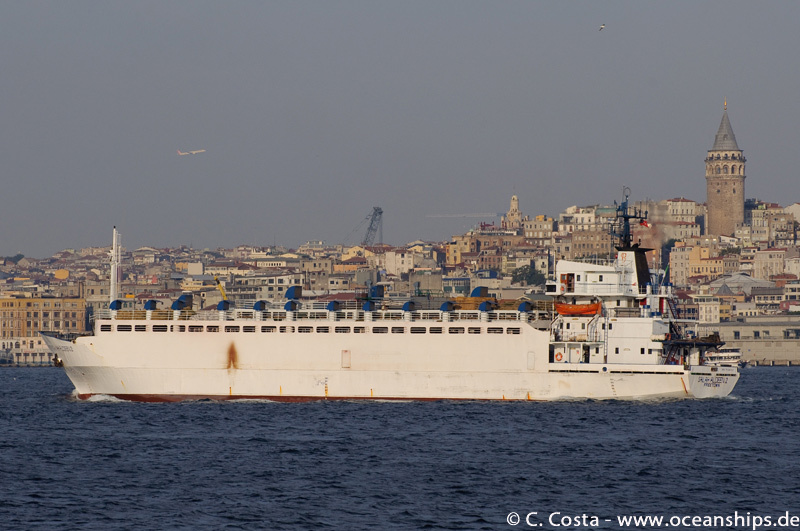 Livestock carrier Salah Aldeen 2 is passing Istanbul bound for the Sea of Marmara on September 16th, 2012. 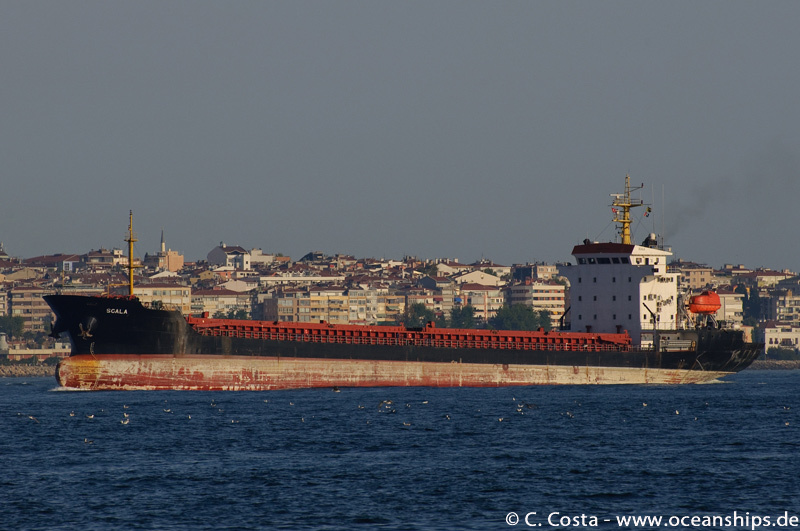 General cargo vessel Scala is passing Istanbul bound for the Black Sea on September 13th, 2012. 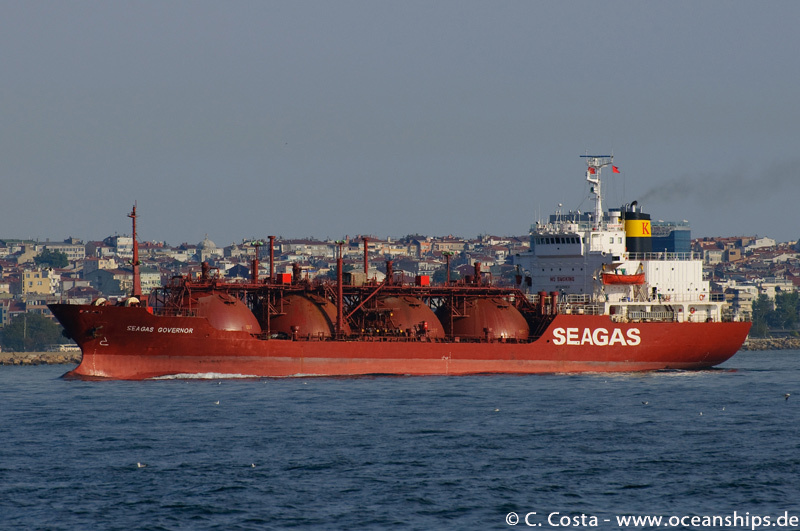 LPG tanker Seagas Governor is passing Istanbul bound for the Black Sea on September 13th, 2012. Tug boat Söndüren 8 is operating in Istanbul on September 14th, 2012.